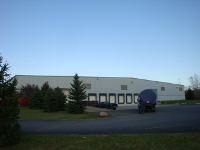 Staber Industries has been family owned and operated since 1976. 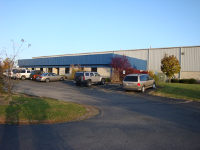 The company was founded and is currently headquartered in Groveport, Ohio. The company began re-manufacturing laundry equipment from manufacturers such as Maytag, Whirlpool, GE and Speed Queen. Based upon this experience, Staber Industries designed and secured a patent on a new type of clothes washer that cleans more efficiently than traditional tub washers. Since then, we’ve grown our business to become the complete partner for home and laundry care, including dryers and residential drying cabinets. For over 30 years, all Staber appliances have been manufactured in Central Ohio. Most of our sales have been through the old-fashioned way: word of mouth from customers, and direct from our home to yours. Our state-of-the-art facilities have the technology to do it all in the USA, including laser cutting, metal fabrication, welding and powder-coat painting. We’re proud to put our name behind the world’s best drying cabinets – and we’re not the only ones who think so! Staber products have been honored by publications like The Wall Street Journal, Popular Science‘Best of What’s New’, Consumers Digest ‘Best Buy’, Country Living, Countryside Magazine, Farm Show, Arrington’s Bed & Breakfast, Appliance Service News, Columbus Monthly, and Home Power magazine. As a family owned business grown in the USA, Staber Industries understands what quality means. Trust the home appliance experts to deliver the best products for your family, that will last for years to come. In October 2011, Staber Industries acquired the assets of Master Sports and Match Mate Tennis manufacturing companies. Master Sports, Inc. was the manufacturer of the SAM Tennis Ball Machine line of products, whereas Match Mate Tennis was the manufacturer of the Rookie tennis ball machine. Staber Industries has combined these two brands into one new brand named Match Mate Tennis. The Match Mate brand has been the brand of choice since the early 1970’s. L.A. Times called the Match Mate brand the “Mercedes Benz” of Tennis Ball Machines. Staber Industries is continuing the product line of Match Mate tennis and will also be introducing new tennis ball machines to the market. The full product line will be designed to enhance all levels of gameplay anywhere from beginner to advance.